Byron Morgan Bombs Away Driver Headcover ! This cover will fit a 460CC Driver. Only 200 Headcovers Made ! Byron Morgan patchwork Coyote headcover. Show your support for the Chicago Cubs on the course with this great made in the USA Product ! This headcover has a magnetic enclosure. Only for sale here at 303MILLED.com for a limited time. This cover has a velcro enclosure. 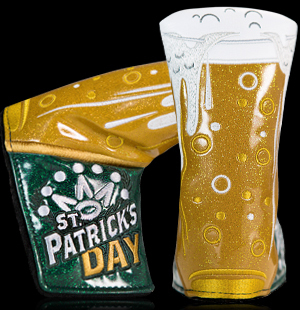 Headcovers for Drivers, Fairway wood and Hybrids available.